I’ve made quite a few Holiday Greeting from Seven Port posts, but this is my absolute favorite one. There are actually many more characters in this show than the ones I introduced to you in my last two posts. (The Little Mermaid & Other Chracters) I like watching this show from this spot though because my favorite character, Donald Duck spends a quite bit of time here at the end. 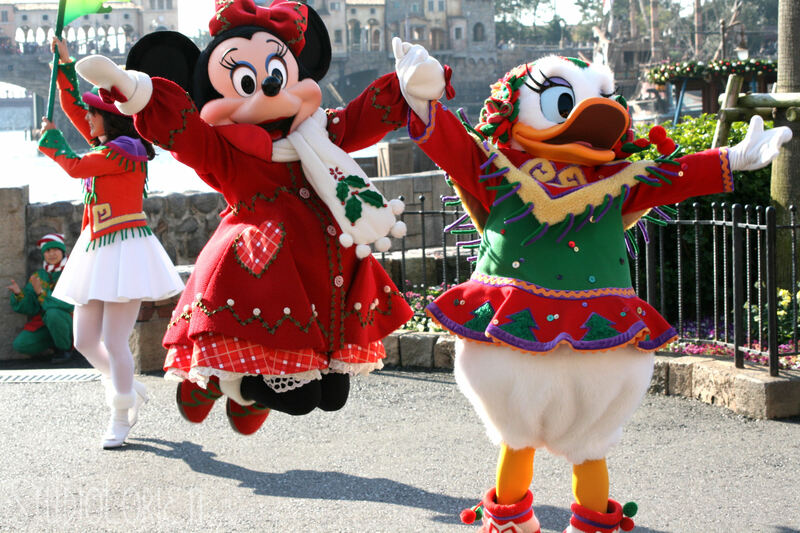 Plus you get to see Mickey Mouse at the beginning. 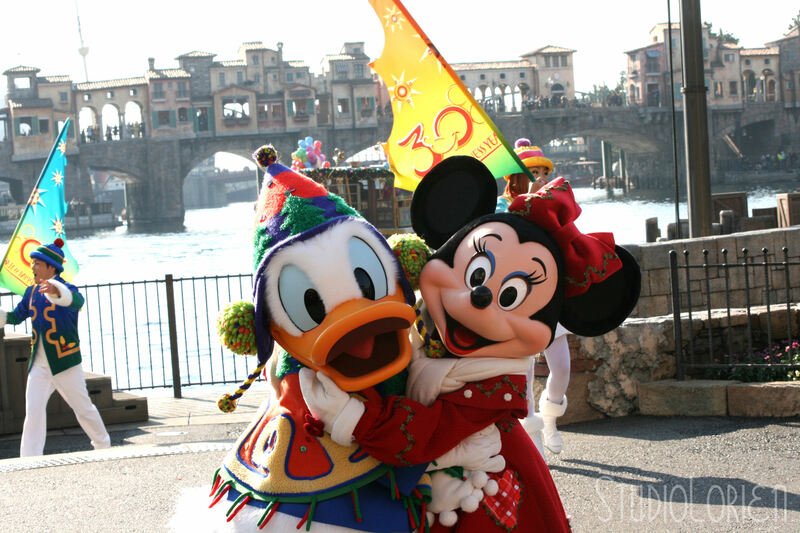 Minnie Mouse and Daisy Ducks appearances are a big plus too. 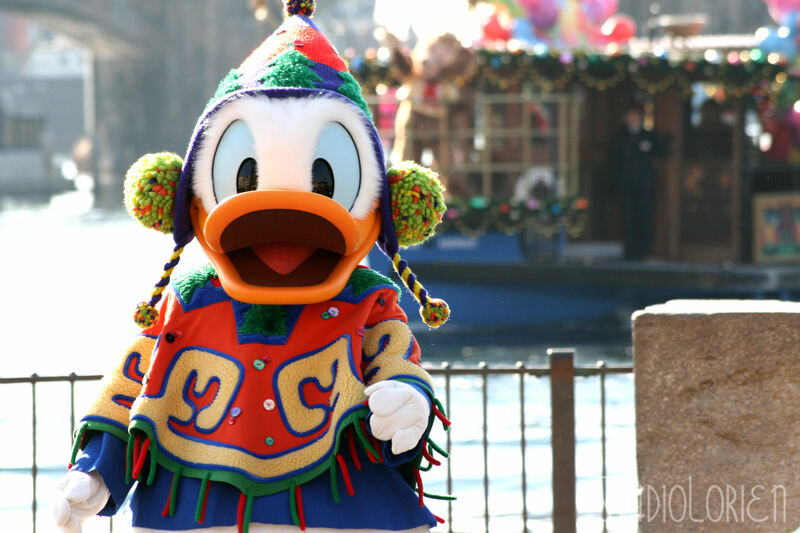 Donald Duck! I love his costume so much. 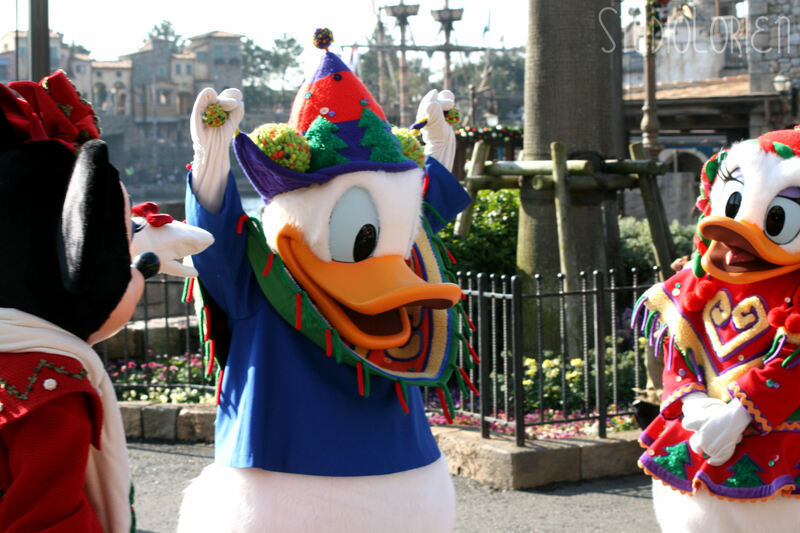 He and Daisy bring their tree from the Lost Delta area of Tokyo Disney Sea. 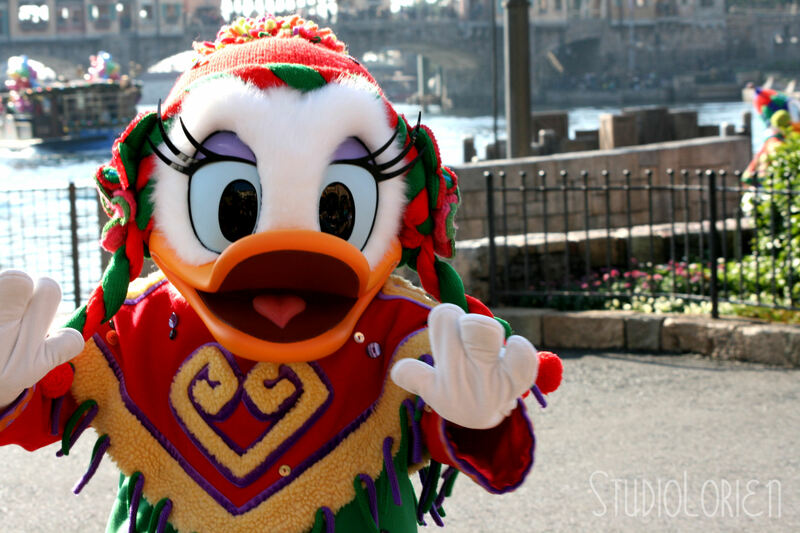 Daisy is super cute as always. I think I would like to have a big sister like Daisy. 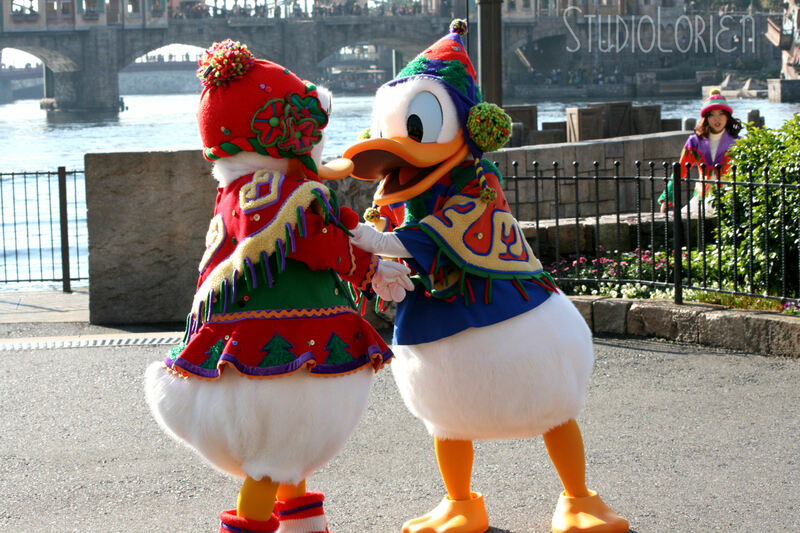 And of course, Donald and Daisy interaction makes all the waiting worth while. I think this is one of the best photos I have taken so far. I am in love with it. Jumping action is a must. I have a photo where the both of them are jumping from my other camera. Perhaps one day soon I will organize that file and post it. This made my day. I have no clue what he was doing, but he stood like this for almost a whole minute. What is your address I am trying to mail you a note?